American Herald Tribune | Adnan Abu Zeed: Iraq, together with UNESCO, has concluded a comprehensive aerial survey of Iraqi heritage destroyed by the Islamic State (ISIS), paving the way for further cooperation to restore various Iraqi sites, particularly at the 13th-century Assyrian capital of Nimrod. In mid-May, Italian Culture Minister Dario Franceschini handed over to his Iraqi counterpart, Friad Rwandzi, a 500-page report prepared in coordination with UNESCO that includes the survey data. 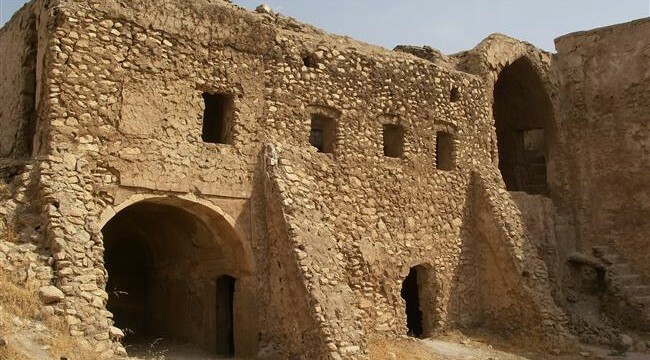 The report, which focuses on northern Iraq, documents affected archaeological sites before and after their destruction, assessment of the damage and an action plan for their restoration. Iraq and UNESCO have worked together since 2014 to restore the archaeological sites that have been in IS’ grip, including Hatra, Nimrod and the Mosul Museum. UNESCO Director-General Irina Bokova said in November 2016, after the liberation of Nimrod, that her agency was determined to support Iraq in assessing the damage and protecting the remains from further looting and destruction. UNESCO has indeed been vocal about the need to restore Nimrod, which is located in Ninevah province. In 2010, Nimrod was submitted to the UN body’s tentative list of World Heritage sites. Also known as Kalhu, Nimrod is one of the main archaeological sites from the Assyrian period. Established in the 13th century BC, it later became the second capital of the Assyrian Empire. Its murals and monuments are referenced in literature and scripture, and its clay tablets with cuneiform writing are known worldwide. Faleh al-Shammari, director of antiquities in Ninevah, told Al-Monitor that the next step will be to form a joint technical committee of Iraqis and UNESCO representatives. “Experts from both sides will oversee a strategic project for the restoration of historical places in Ninevah, based on the aerial survey database,” Shammari said.